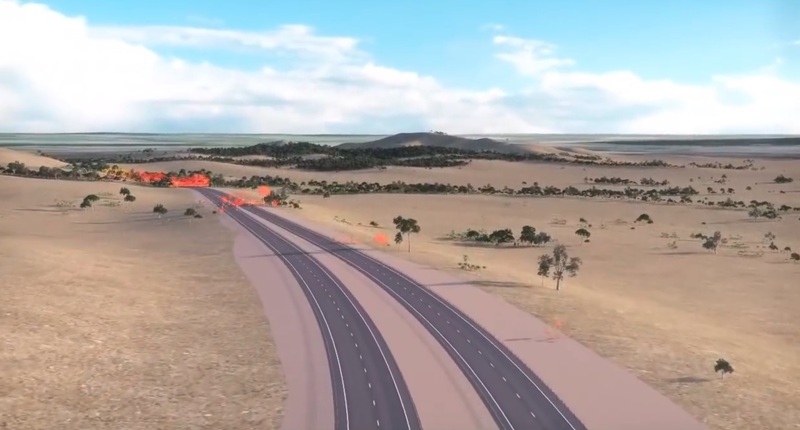 Community members are invited to attend a drop-in information session next week with work due to restart shortly on the Western Highway duplication. Part of VicRoads Western HWY stage 2B Buangor to Ararat enviro flythrough. Work stopped in February 2017 after the original Incorporated Document for construction of the 12.5 kilometre section 2B expired. VicRoads North Western Projects Manager, Steve Pattinson said residents and landowners can meet with the project team to ask questions before work begins. “This will be a great opportunity for the community to meet with the project team and to lean about the planned works and what this will mean for them over the coming months,” Mr Pattinson said. “The duplication may result in some changes to the way residents access their properties so we want to make sure everybody is aware of the upcoming works. Section 2B between Buangor and Ararat will see the highway duplicated to two lanes in each direction with additional turning lanes, a new bridge over the railway line, two new bridges over Hopkins River and an interchange at Hillside Road with entry and exit ramps. The works are part of the $672 million Australian and Victorian government-funded project. Location: Ararat RSL, 74-76 High Street, Ararat.